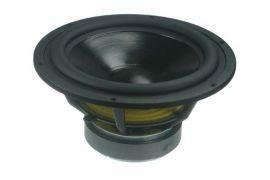 SEAS H1288 features long, high temperature voice coil wound on an aluminium voice coil former and large magnet system. The injection moulded metal basket keeps the critical components of CA22RNX in perfect alignment. Large windows in the basket both above and below the spider reduce sound re?exion, air ? ow noise and cavity resonance to a minimum.